The first Breeders’ Cup I attended was the 2010 edition at Churchill Downs. I wasn’t sure what they would allow me to bring into the track, so I only took a little point-and-shoot Nikon. My mistake! So many wonderful horses, but the pictures… not so much. A few made the cut, though. 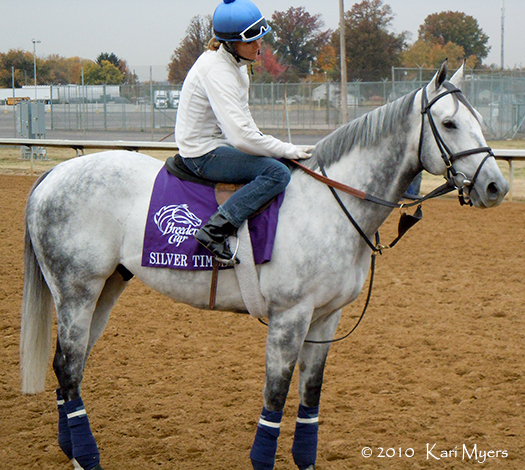 Nov 3, 2010: The lovely Silver Timber. He finished a respectable 5th in the Turf Sprint behind Chamberlain Bridge that year. Nov 4, 2010: Giant Oak, who finished 5th in the Breeders’ Cup Marathon that weekend. 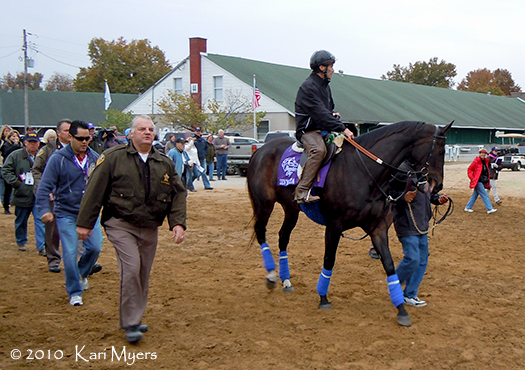 Nov 3, 2010: Zenyatta makes her way from the barn to the track. There were over 100 people following her, including camera crews, photographers, and her own group of bodyguards. This remains one of the most amazing things I’ve ever seen in horse racing. 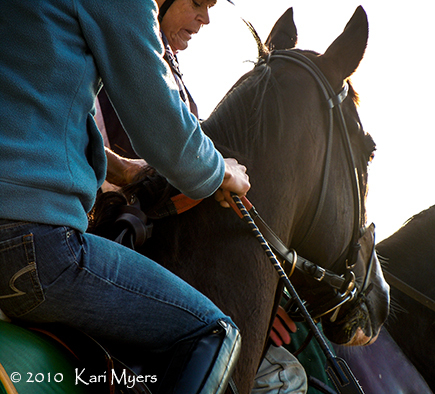 Nov 3, 2010: Zenyatta, two days before the only loss in her career. November 2, 2011: Irrefutable gallops at Churchill Downs on an early morning before his start in the Breeders’ Cup Dirt Mile. This is the beautiful Irrefutable, a Bob Baffert trained son of Unbridled’s Song out of the Kingmambo mare Honestly Darling. 2011 started out well for him, as he won 3 of his 10 starts and placed 2nd in the Grade 2 Smile Sprint Handicap, 2nd in the Grade 1 Ancient Title Stakes to eventual Sprint Champion Amazombie, and 2nd in the Grade 3 Vernon O. Underwood Stakes. Sadly, the Underwood would be his final start. He collapsed and died from a cardiac event after that race on November 26, 2011. One year after his death, I wanted to pay tribute to that big, beautiful grey boy. 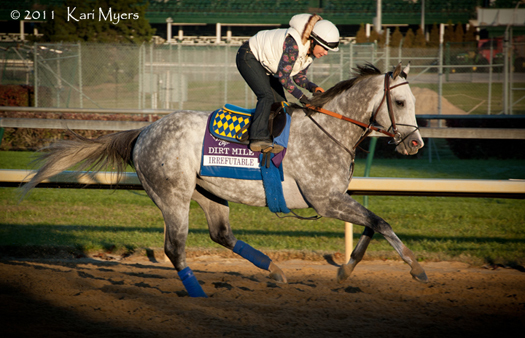 He’s shown here preparing for the ’11 Breeders’ Cup Dirt Mile at Churchill Downs.